We are a Sports England Clubmark accredited and Cheshire Cricket Board Focus Club located in the village. Our aim is to provide opportunities to play, support and enjoy cricket at an ambitious, friendly and welcoming club. We have 2 Saturday senior teams who play in the Cheshire Cricket League, a Sunday friendly team and a midweek 20/20 side playing in the Chester and District Midweek League. We are always on the look-out for players at all levels – whether you are looking for competetive league cricket or an occasional social game on a Sunday we will have something for you. If you are interested we have practice sessions on Tuesday from 6.30 – just ask to speak to any team captain or committee member. For the youngsters, we have a thriving junior section that we are very proud of, with teams at u-9, u-11, u-13 and u-15 levels. We are also happy to be part of the ECB led "AllStars" programme during the Summer of 2017 focusing on the younger ages (School years 1 and 2). Outdoor coaching on Friday evenings from early May– for under 9s and all-stars from 5.30, older age groups from 6.30. With the sun out and the bar open, it’s a great place to enjoy a relaxing drink or two after work whilst watching your children learn how to play the game under the supervision of our fully qualified coaching team. As well as playing there are opportunities to get involved as a social member or a sponsor. If you would like to find out more go over to our website: http://kingsley.play-cricket.com – we would love to hear from you. 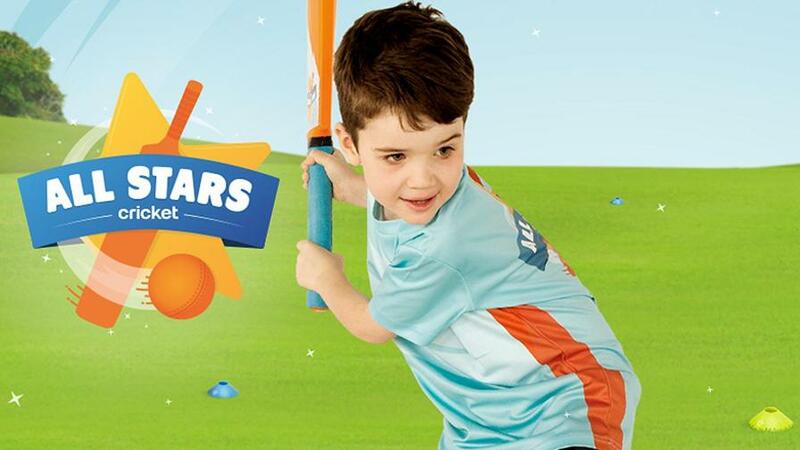 For years 1 and 2 we are running the ECB All Stars programme.